Here's the recipe to share with you and since a large amount of cocoa powder is used, a good quality cocoa powder is highly recommended. 1. 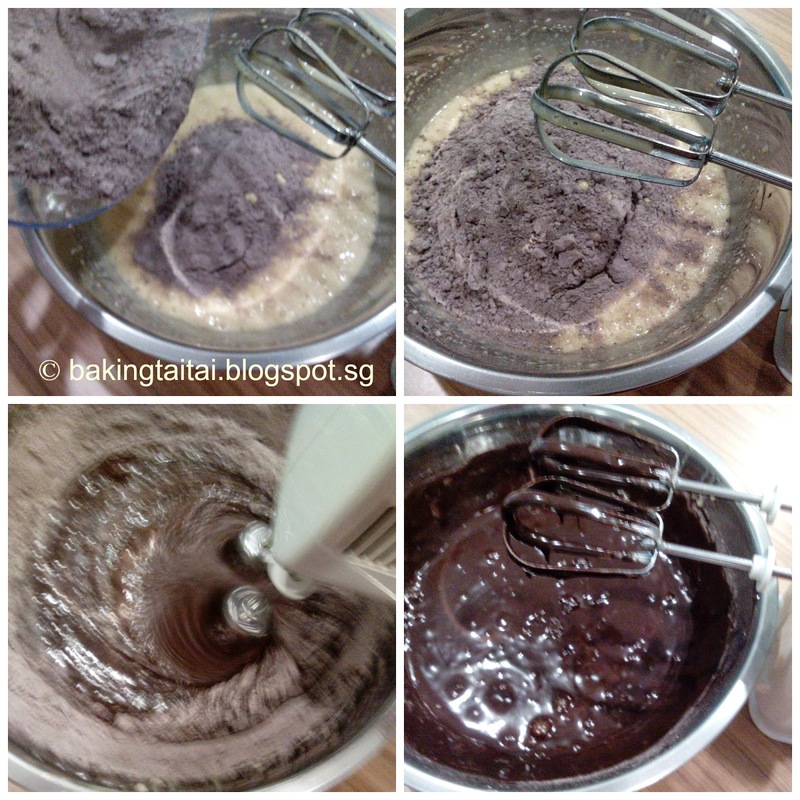 Sieve flour, cocoa powder, salt, baking powder and baking soda. Set it aside. 2. 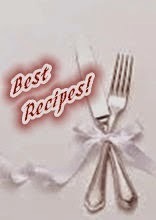 Use an electric mixer to beat eggs, sugar and condensed milk over high speed. Beat for 5 minutes or until light in colour. Slow down the mixer and add in the oil. Mix well. 3. Add in the flour mixture and mix until combined. 5. Remove from the steamer and cool on a wiring rack. Enjoy! 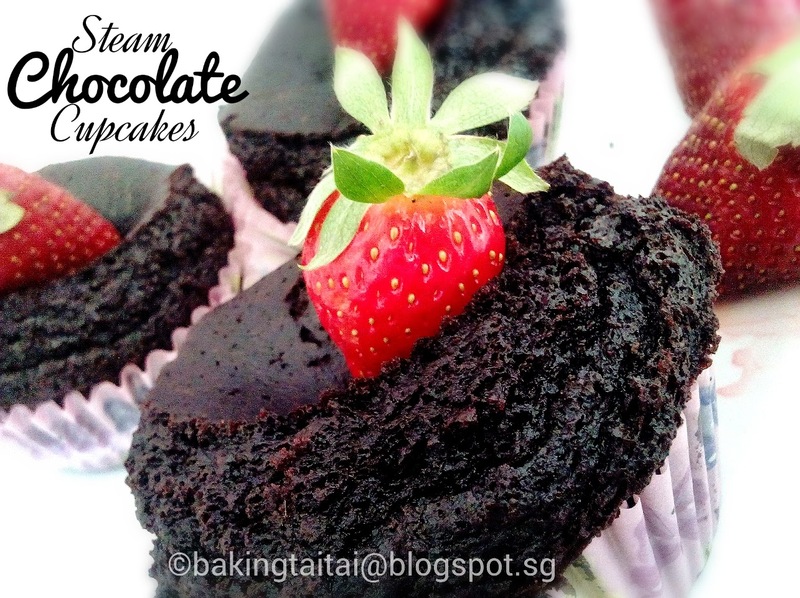 These cupcakes are so chocolatey and moist! Yum! Hi Cheryl, love the contrast colours ... so pretty. 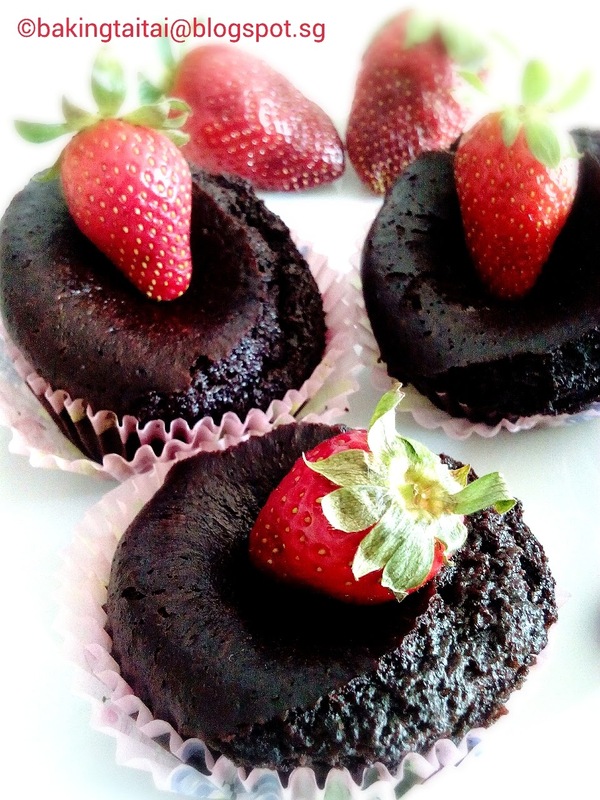 I have yet to try steam cakes ... but now I wanna quick bite of your yummy steam chocolate cupcakes ^-^! 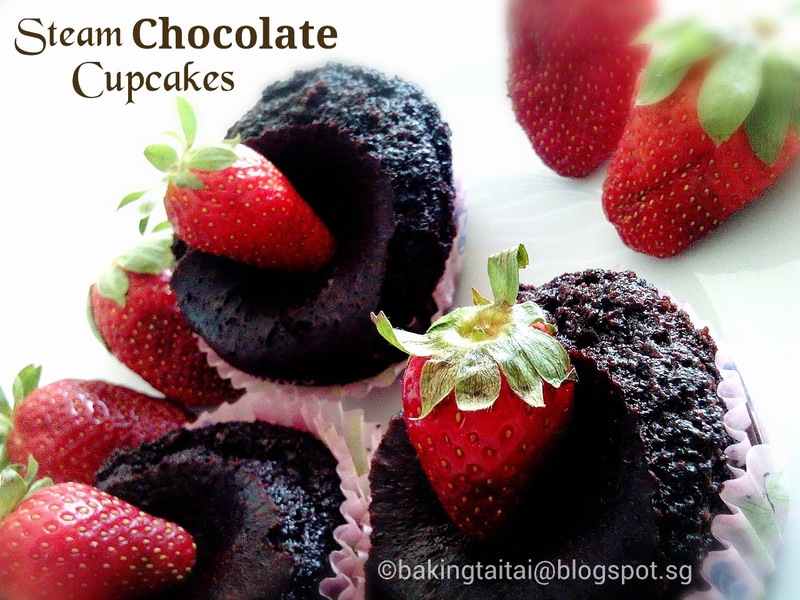 I love a moist and chocolaty cupcake anytime! Cheryl, I also tried the steamed chocolate cake b4 but used evaporation milk instead, that is the only steamed cake I love so far lol. Yours look good too, yum yum! Hi Cheryl, i would like to try this recipe but wanna use bake method instead of steam. can it be done and if so, what is the temp and time? Thanks. A self-learn baker & stay-home-mum of 2 kids, loves tweaking recipes to yield healthier bakes. 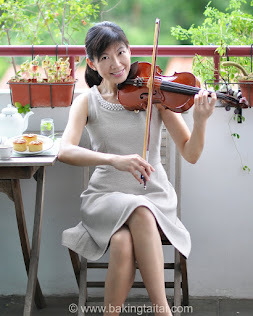 I am a self-learn, home baker who loves to share my experiences & experiments using natural, healthy & premium ingredients. 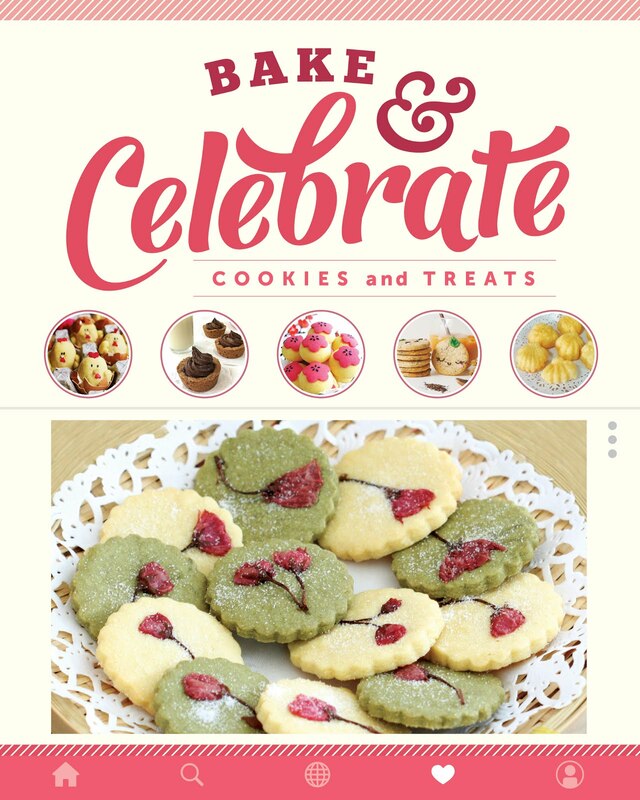 The bilingual recipe posts with step-by-step pictorials prepared painstakingly all by myself, shares my tried, tested and successful bakes done mostly on my first attempt. Colourful & Functional tools which makes my baking fun! 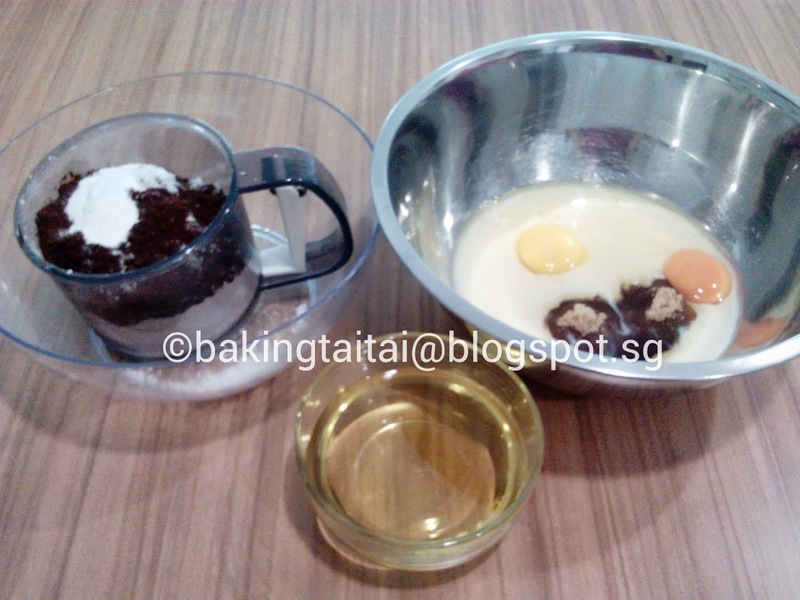 Baking Taitai is a personal blog written and edited by Cheryl Lai. 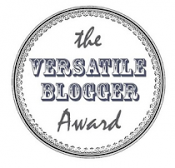 The views and opinions expressed on this blog are purely the blog owner. Cheryl is not an expert, just a happy homebaker with great passion for baking and sharing her experience and experiments. The bakes are mostly her first attempt, tried and tested by her and done successfully as per blog tutorial recipe and videos. 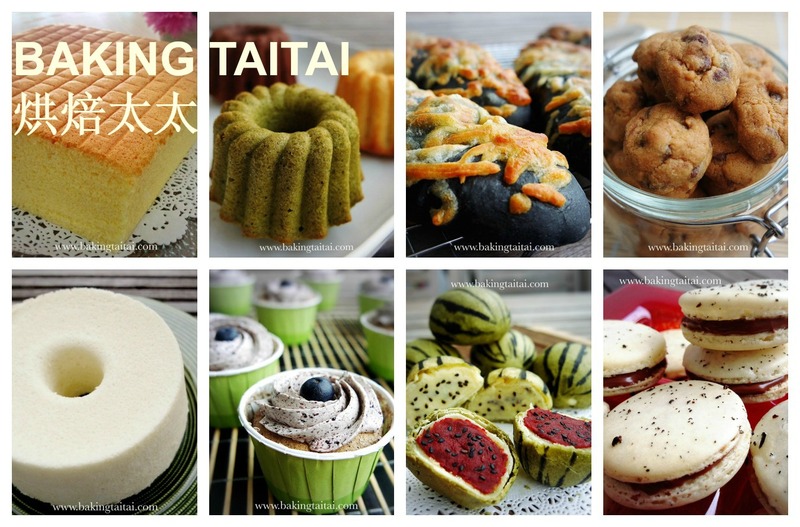 All photos and videos are taken personally by Baking Taitai and are rights protected. Use of copyright materials without permission is illegal under copyright laws. 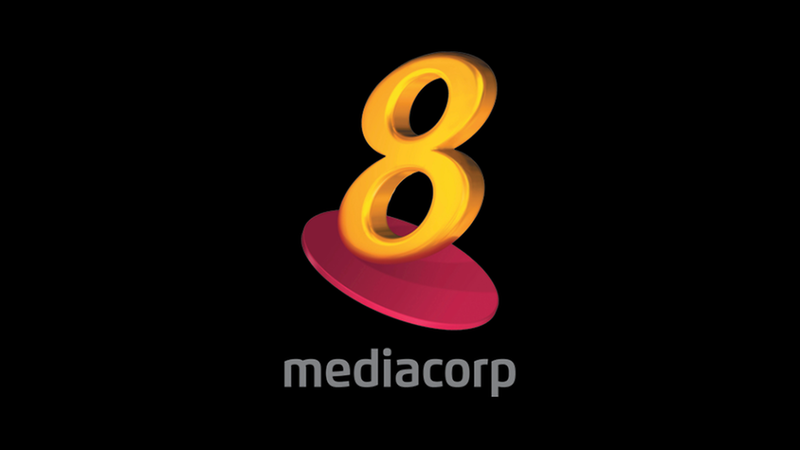 Failure to link back and credit this site as a source constitutes copyright violation. 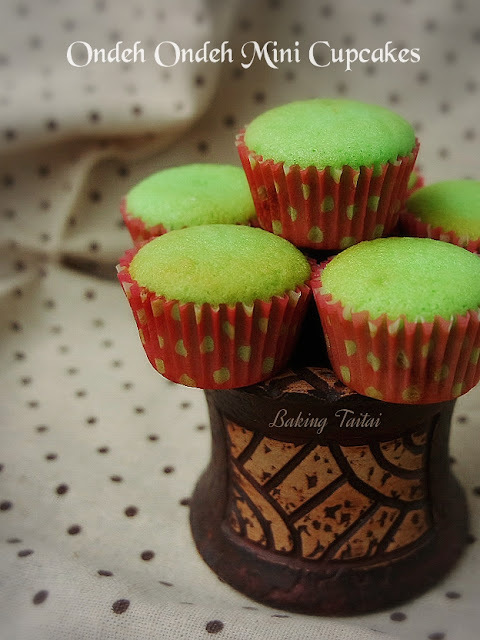 You are welcome to use the images from Baking Taitai as long as you get permission and include links to the original content and credit the material specifically to Baking Taitai. 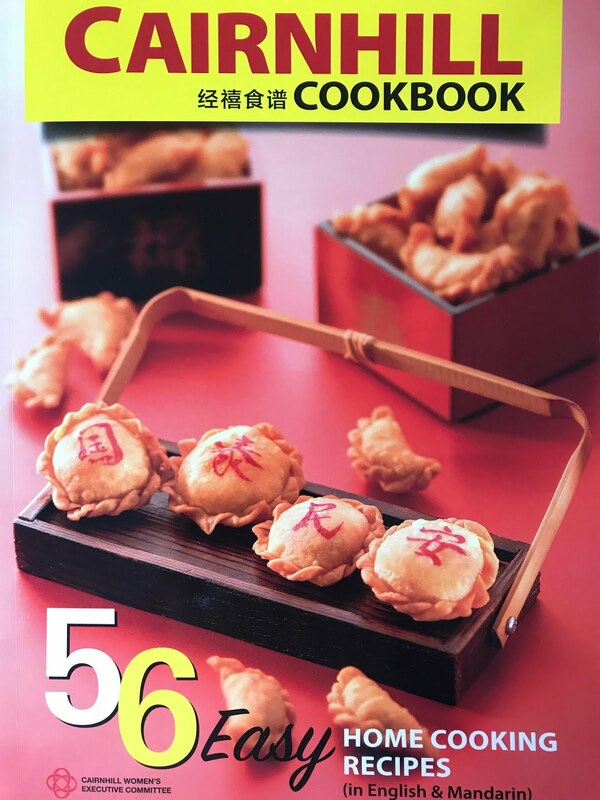 Please do not duplicate any of the text or blog post as a whole, instead paraphrase and link back to the original post at Baking Taitai. Images not taken personally will be credited to their outside source.